"Masque of the Red Death"
After reading Edgar Allan Poe’s “Masque of the Red Death”, students worked to analyze the literature with an in-depth focus on symbolism and imagery. Once students had a solid grasp of Poe’s use of these devices, they were asked to create their own masks. Students had to use colors and symbols that reflected their own personalities. 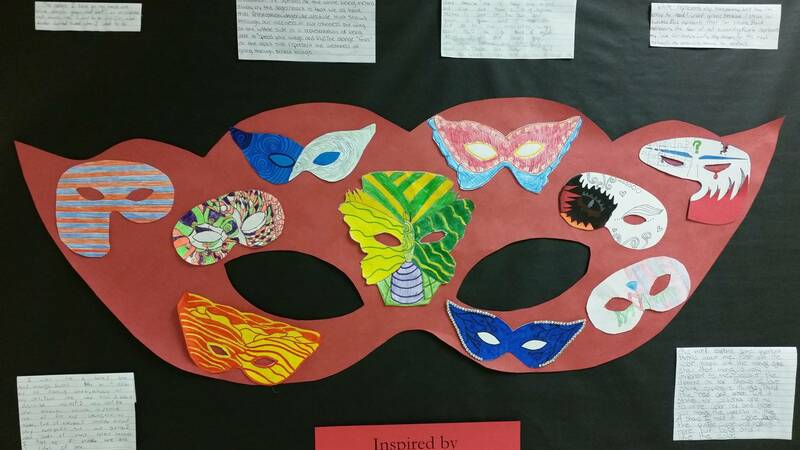 Upon completion of the masks, they were asked to write a reflective paragraph that explained their visual choices for the masks.